What’s up! Anyone notice how sad particles look when they are played against slow piano music? Well here is a test I did using CC Particle World linked to a 3D NULL! I used several copies featuring different settings to serve as the smoke particles and the light debris. I think CC Particle World has great potential to create amazing particles but it may take a little more work when compared to Particular. Another cool tip: Once I completed the particle animation, I put the comp in a new comp and slowed it down 200% so the particle movement is slower and also more depressing in a happy good way! Now close your eyes… and imagine what it would like with some Optical Flares! Can you please provide a tutorial for this? Wow, thank you by the project Andrew. A work of Art Master Kramer! U have a style and i love the way you put your own touch on things. U True master. Does anyone know the name of the sound track used in it? Like in the Modern Warfare 2 trailer, when the letters appear. GAH! It was beautiful already and then you had to add the music I mean *sniff* can I get like a hug from you or sumfin! *sniff sniff* Seriously cool stuff! Yeah that was beautiful man! You never cease to amaze/inspire me! dude amazing work, btw you should make a tutorial on how to do this i love to learn how to : ) Thanks for the post! Amazing work - absolutely fantastic! Can you tell me how to control the producer to 'steer' the 'particle thing' (comet?). I want to be able to control it's movement, while still getting the tail of the comet to react to the direction of the comet, and I'm not sure how to go about this. Thank you for a lesson, he super! i made a video inspired by this... i created the smoke particles using particular... but will be going back into AE soon to see if i cannot reproduce something similar using CC Particle world. i quite enjoyed there not being a tutorial for this one.. but can understand why some might want it. id suggest for those that would like a tutorial for this to check out the Light Streaks (nano advert) tutorial and also the more recent smoke trails Tutorials as i've watched both and they give you more or less everything you need to knwo to go ahead and create this. @djoshi: read the comments, it pretty much tells everything how its done or download the project file. PLEASE can ANYONE tell me how Andrew did this??? Hey Andrew, I wondering if you could shine some light on how you did the camera move? Is it done using expression or keyframes? I want to thank you for all the great stuff you're willing to share with us all. When i looked at this video i really was stunned... It has so much potential.. I think its GREAT!! Very good idea. Can you make a tutorial about this?? God bless you man,thanks for sharing your knowledge. Create a new comp in the project, drag the original comp (Default is Comp 1) into the new comp. Right click the original comp > time > time stretch. Choose the amount you want to speed or slow (100% default, 50% = 2x speed, 200% = 1/2 speed). If you're looking to do regular speed and then a speed change, also select time > enable time remapping after doing a 200% (or more depending) stretch. Example using a 5sec come. 200% stretch = 10sec comp. Put 1 keyframe at the start = 00:00:00, 2nd keyframe at 4sec 00:04:00, 3rd keyframe at the end 00:05:00. This will make the first 4 seconds at normal speed, and the last 6 seconds at 1/6th speed (1sec of animation over timeline seconds). 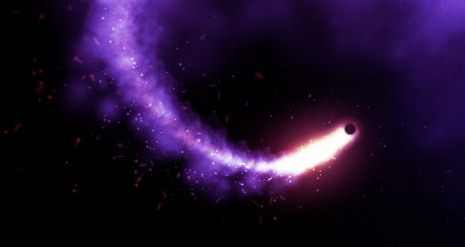 Andrew (or anyone) is there a specific tutorial for ending a particle trail? For example, I want a 2 sec sparkle to fly up and gently land on a shelf - without the particles continuing to spit out after it has stopped. Excellent travail sur les particules. Le choix de la musique reste tendancieux. This question will probably get some faces, but can someone walk through (briefly) how to slow down the animation 200% as Andrew stated? I tried Timewarp, but the quality looks blah. @Brandon R - I ran into that a while ago; I think it had to do with multiplying the axis it was off on by the pixel aspect ratio. Particle World works with an arbitrary 0,0,0 coordinate for center screen and so doesn't translate nicely with non-square pixels. Not as good as the VideoCopilot ones. I thinks that the particles are too fast for the kind of sad piano music. Ultra slow motion particles would have a much mor dramatic look. Hey Andrew, I brought this up in the forum, lots of views but no answers.. I don't see how the smoke cloud comp is linked to anything, it's not a custom particle cause they are all faded sphere and lens bubbles, I've gone over it and over it and I do see where that is being used, and now I am super confused!!! so a tutorial would be nice!! oh great, i like it! but...is this really 200% slowed down?! :D still looks fast! but still: nice project, thanks! The particles are great, but enhanced so much buy the soundtrack! There is a tutorial for attaching particular to an object (3d stroke effect), but attaching CC Particle world to the emitter I just used the pick-whip from the x/y/z coordinates onto the light emitter, also if something doesn't look dead on where it should be (my central glow ball was not) use +/- [*,*,*] for x y z values that need to be fixed, once I got the glow ball where it needed to be (it was about 300pixels off for some reason) it stayed there and didn't stray, so it worked well for me. Actually for a camera move like what he used, in my Video it's not quite as dramatic although it wasn't meant to be, but using a combination of attaching a camera to the emitter, a small point of interest wiggle, a larger but slow camera wiggle, along with key frames from a basic starting position and a rotation to an end position, you can get very smooth random but good rotation around a specific moving point. thanks andrew, having thoughts on your next tut? Omg, so nice movements ! Not many people will give away their projects and awesome tutorials for free. You are one among the greats - No matter what your wife thinks of you for spending hours in front of your comp! Hey Andrew. Great stuff as ever. This reminds me of a video for my icelandic friend Ã“lafur Arnalds - made with particular v2. Have you seen t? Hey Andrew could you make a short tutorial or a short blog video about how to make the smoke element? Is there any way we could get a tutorial for this? gkaster using VCP optical flares. Awesome, Andrew. I had no idea cc particle world was capable of this. Did you use Sure Target for the camera move in the second part? I'm working on a scene and I've been looking for a way to do that kind of camera move. 1.Do you make all of the words that are hovering in the episodes? 2. If so, was "Manhattan" spelled incorrectly on purpose? WOW how do u come up with these great work i mean all products are simple the best i have seen. You real need to do documentary Call the raise the greatness the VIDEO-COPILOT story. we have to use the time remap to slow down the animation or there another way? Hey Andrew. That's good looking. But the motion is a bit too much unrelated to the music :) I know you know it but, the movement of the emitter is too constant in it's speed. I know, the point is more about the particules handling here, but you started to talk about things related on music, and so that's just too fast & constant. I've made plenty of sad particles. The next step is to make them B&W to really add that "Schindler's List" sadness. I said it once, and I say it again, you're the Einstein of after effects, dude!!!! !.....Hola from Mexico. Awesome!!! I love how you used a color range of purple to red - it blends it great with the BG! Only thing is... heh... the music isn't all that sad, much. You are truly a god for After Effects!!! creative and nice look, stunnning vfx as always.. thx for sharing! Wow, it does look pretty cool in slow motion. I'll bet at 400 times slower, it would be even cooler....and yes, it did look a bit sad, but in a happy way....loved the particle environment too. Very ethereal. I wish you would dump your wife, and marry me! 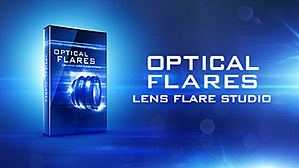 No need to imagine Optical Flares in it, when you can SEE Optical Flares in it! is there a good way to increase the workflow with a huge amount of particles, without upgrading the computer??? I like the music is that a score in proscores? All credit goes to you again and again Andrew! I totally agree that CC Particle World is capable of amazing things. I always try to use plug ins that come in After Effects and a lot of them are under estimated, even over looked. I used Particle World the other day for a Dracula commercial, it was used to make clouds. Used the same technique to pre comp and time warp and added shine to give deep evil red colour! With the camera, did you lock the point of focus to the emitter or manually keyframe? There is a way to open a CS4 project in CS3. It is posted on creative cow i think. You did all this is CC Particle World?!?!?!?! I hope AECS5 comes with a new particle generator that generates pizza slices. Not that damn frozen pizza stuff either. i knew it!! i had a feeling to come to this website, i was right there, ooh, i will go to videocopilot, maybe there are some new cool stuffs, and i was right, yeah. that's true, yep. now try it with some Queen music! I'm glad you posted this. I too have found that I can achieve the "Particular" look in some of the tutorials by doing a bit of extra work in CC Particle World, such as the Ring tutorial. Hey Andrew, it looks really nice, did you made a tutorial about this "Sad Particles"? ItÂ´s so full of depth, really inspirating. I prefer partiular, but it you showed that the same things are able with particle world, too. You used expressions to link it to the null, right??? Awesome! Any chance you will do a tutorial on this project? Hey guys, this made me think of this AWESOME video. I think he uses also particular but I never could get the effect with the particles flowing to the left and to falling down. I closed my eyes like You said and couldn't read any further! Paticle world is a bit more difficult to use than Particular but can produce some nice results as in your video. I find Particle Playground to be almost indecipherable. I'm inspired to try something similar with Particular with some colored AE lights positioned in 3D space and the shading parameter turned on in Particular. Got my creative juices flowing as always, thanks Andrew! Oh my! this is really sooo sad! seems like this litte guy is searching to find back home right? reminds me to nemo, this poor little clownie... can't stop the tears... thank you, Andrew! Bottom line is you are a clever man! Can you supply us with any tips and references to links or books that are best for getting grips with code like this? Andrew Kramer you always make simple ideas to look complex artwork. I am absolutely impressed...more thanks than ever. It reminds me of Wall-E. I don't think "sad" is the word for it... more like "beautiful". Andrew, is there any chance that you would tell us where you got the music theme from? I am considering using it in one of my projects. NICE work, I love the different angles! Absolutely beautiful. I do have a question though, for the somewhat bumpy camera motion did you use the sure target plugin with the bounce thing and rotation around the object? AK, Can you possibly make a tutorial on this? Thanks for sharing the project file. It looks great! Can you make a tutorial for this? this is so nice thanks for upload. you are the best !!!!!! I watch every your work and i love it. Well, this was looking very nice. However I like your "more exploding projects" most. Was there some sudo motion scripts used to follow the null by camera? You were talking on a previous post about camera mapping.I would be happy to see another tutorial on that. That truly is amazing. I sometimes do use CC Particle World over Particular. It is a powerful plugin, but unfortunately lacks a few key features from Particular. Anyways, that was a stunning preview, and you obviously are a master. Very sweet man...once again thnx for sharing this with us!! I think that was slow harp music. Didn't hear any piano. Hardly matters as this project is amazing. This set to Philip Glass' "The Kiss" from the movie, "The Hours" would be powerful and emotional. hm, I wouldnÂ´t call it sad, it just looks beautiful and the music makes it even more beautiful! This is my favorite, I wish I can figure out how to do this. no, just spheres for une system and cloudets for the other. no, the new per particle shading and the new independent aux system settings made this posible. i don't think it can be achieved with 1.5.
yes, sure there are LOTS of turbulence and spherical forces applied. You should try fine-tuning the turbulence and the aux system physics. There are two particular emitters in this vid, one for the piano part and the other for the strings. the smoky look is created by using a HUGE amonunt of particles, and the new shading capabilities on V.2 does a beautiful volumetric job. Also there are spherical fields and lots of tweaking at the turbulence parameters. That was pretty cool Andrew! I was looking for something just like that, and this project will give me an excellent help. And, obviously, thank you for all your amazing tutorials! Thanks For New Project ! So I added an optical flare to the light. Love the way it moves larger and smaller and flickers. Thanks, Good work nice. thanks for using CS3 Although I'm upgrading to CS4 Today. Longtime watcher and amateur at AE, but could you give us more tips and tricks at camera movement? I have seen your Advanced Camera tutorial, but a few things are missing in that tutorial that make this specific composition look really organic. I think I noticed in the zoom that the focus lagged behind the zoom, so, in clearer terms, it seemed as if it was an actual camera operator zooming THEN focusing. Maybe it was just motion blur, idk, but I would love to see what other tips and tricks I have been unaware of. Nice. I think it was moving to fast in my opinion to be sad... but the camera moves were amazing. STOP CRYING and get back to making the next tutorial. Optical Flares is like my guitar amp it goes to 11, thats one more then 10! Very cool, thanks for sharing man. Did you get my e-mail by chance? That is really good. 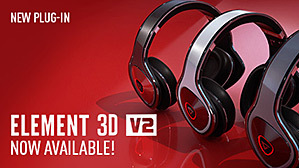 Incredible lighting/shading, use of 3d space and color too. just made one with alicia keys - love is my disease in the back. No problem Dustin, sometimes I forget and use CS4 but I was careful! That looks Cool! And thanks for making the project file in CS3! It's amazing I was just working on a test with linking cam to emitter just for fun , was taking a break and here I saw you doing the same . I'll post my test in a bit :) and if you can help me remember how to link far and near vanish to cam I forgot which tutorial you went over this in, is it just picwhip or expression needed ? nice vid for a snowy night, thanks for the project..
Quite astonishing! Great music choice too. Tears came to my eyes. j/k, but I was close. You did all this is CC Particle World? I watched the sample about 5 times. It was just so peaceful to me. I will definetly download this project, maybe make a screensaver for my computer. Also, I am glad you didn't use Particular so that I am able to accomplish this. great project, thanks for sharing it. Gracias por el proyecto, realmente interesante! saludos!